2 Bedroom Apartment To Rent in London for £2,000 per Calendar Month. PREMIUM - This stunning first floor apartment is presented in superb order throughout and offers excellent accommodation. The well-proportioned reception room overlooks the gardens and opens onto the private balcony, which is also accessed from the master bedroom. The contemporary fitted kitchen has integrated appliances. The master bedroom has built-in cupboards and a modern en suite shower room. A second single bedroom and a family bathroom complete the accommodation. Chapman Square is a prestigious gated development with a 24 hour porter, located opposite Wimbledon Common and giving easy access to Wimbledon Village, Putney and the A3. 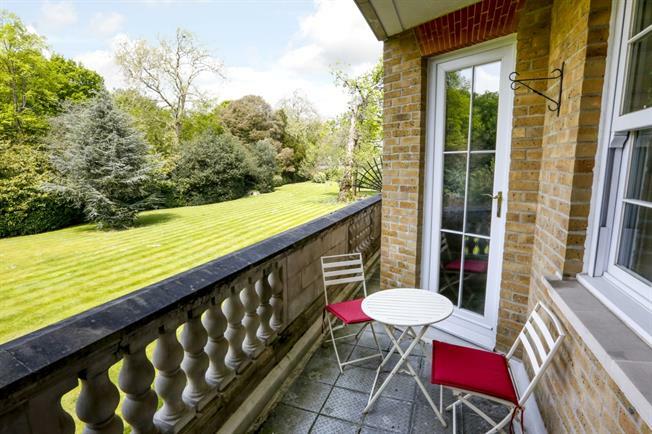 The apartment has a balcony overlooking the lovely communal gardens, accessed from the reception room and the master bedroom. There is an allocated parking space.